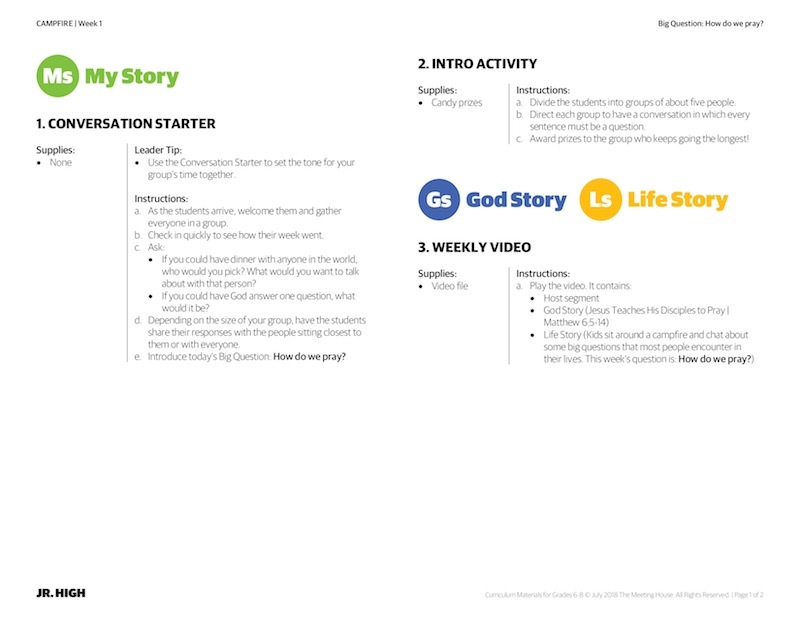 In this series, students will get to have some campfire chats around big questions they may have: how do we pray? What’s with other religions? What happens when we die? These are some big questions that most people encounter in their lives, and this series is devoted to walking alongside these questions with Jesus.